For a higher education institution to thrive (or even function), it needs a healthy year-on-year influx of new students. Given that an HEI’s (Higher Education Institution’s) enrolment statistics are intrinsically linked to its survival, there are no wrong ways in which to recruit and enroll new students. You may find that Pay Per Click advertising (PPC) may be the answer to all of your problems… And it might. However, as with any form of advertising, PPC has its caveats. Competition is rife and fierce, and costs per click can be extraordinary (we’re talking upwards of $40 per click). It may be tempting to abandon all hope of finding success in the PPC realm, but the truth is that in the current market, turning your back on this potentially lucrative form of advertising is simply not an option. Want to learn how to enroll international higher ed students? Then get our newest guide and learn about the 10 most-effective ways that’ll help you improve your enrollment campaigns in 2019. For many businesses looking for an “in” for their PPC campaigns, they may want to bid on their branded terms or those of their competitors. This will ensure that they’ll be likely to draw clicks from the kinds of people with needs that the business can service. However, for HE institutions it’s not that simple. 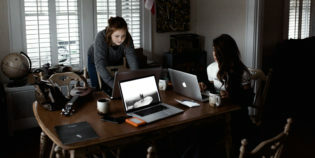 Running ads on competitors’ branded terms can risk throwing away a lot of money on clicks from students and staff of competitors’ institutions with no interest in your college. Even ads on your own branded terms can cost you a fortune from your own employees and students. Instead, focus your attention on creating an ad that stands out amongst the competition, bidding on generic search terms like “bachelors degree”. Focus on ways in which you can use the subtleties of wording and layout in your headlines and meta descriptions. You may assume that you have a limited scope with which to make an impression in your title and meta description, but you’d be astonished at what the human eye picks up when scrolling through SERPS. You can stand out in many ways. Images and video are standout examples, but even little things like your use of caps and letter spacing can be effective in helping users click your entry at the expense of your competitors. Cost Per Click is immutable, Cost Per Lead is not! The inherent cost of PPC advertising in the HE sector is unavoidable. Yet, while you may not be able to drive down the CPC, you can boost your potential ROI. Specificity is the key here. Remember, you’re not trying to attract huge volumes of clicks. You’re trying to get clicks from intention-rich users. Thus, specific, subject-related keywords like “history degree” or “Nursing MBA” are of much greater value than more generic terms like “bachelor’s degree” or “master’s degree”. You may be tempted to adopt a blitzkrieg approach to keywords to hedge your bets. However, not all keywords are created equal, and it’s a sobering truth that 94% of paid search keywords fail to produce a single conversion. Instead, it’s smarter to concentrate your efforts on the keywords that will drive conversions and generate meaningful leads. Let’s take a look at how to do just that. Not all keywords are created equal, and if you’re to achieve a healthy ROI for your PPC investment, the key lies in choosing the right keywords. As I previously discussed, specificity is important but even when narrowing down the keywords to the hyper-relevant, there’s still room for error. Since PPC costs in the realm of HE can be punishing, institutions don’t have the luxury of trial and error other industries can afford. A poorly chosen keyword can result in wasted revenue. The right keywords can send the ROI skyrocketing, mitigating the inherently high costs. Rather than going with your gut, use Google Ads’ suggested keywords. This will help you identify which high-intent keywords are of the most value to you. Remember that these may not necessarily be the ones that drive the most traffic… And that’s a good thing! Remember PPC costs are based on the amount of traffic they drive. Thus, higher intent, lower traffic keywords will be cheaper. More intent for less monetary cost at the cost of less traffic? That sounds like a win! One of the most important ways to drive down the problematic costs of PPC while also reducing Cost Per Lead is to take a look at your keywords based on their intended function. Conversion keywords – Lower traffic, higher intent keywords designed to make prospects take a specific action. Brand awareness keywords –Keywords that are less important in driving user action but are lower intent, higher traffic to drive brand awareness. All businesses will have a different outlook in terms of which proportion of their PPC budget they want to dedicate to raising brand awareness and how much they want to spend on conversions. However, the higher costs of PPC for HE institutions mean that they are not able to play the long game and the short game in this way. Your PPC efforts are better spent focusing on driving conversions rather than promoting brand awareness. That’s not to say that brand awareness isn’t important for HE institutions, but there are other, more cost-effective ways to do it than relying on PPC. Here’s where your content marketing like blog posts, videos, infographics, etc., really come into their own. So, which are conversion keywords and which are brand awareness keywords? These are typically long tail keywords which may or may not include an actionable verb. E.g., “Enroll online nursing course” may be of greater value than “study nursing”. When it comes to driving down those Costs Per Lead and boosting your ROI, it’s important to use negative keywords in your campaign. These will mitigate the amount of budget spent on clicks from users who have no interest in your institution. If you’re not sure where to start, Wordstream has a handy guide for building a negative keyword list. It’s vital to remember that the game of PPC for HE institutions is inherently different from most businesses. Converting in the case of most businesses is a fairly low-commitment enterprise for users. You’re not trying to get users to try your vegan lasagne or wear your ethically sourced footwear. You’re asking them to gamble the next four years of their lives and their future career prospects on you. Hardly a decision which can be made from a single reading of a landing page. It’s likely that prospective students will alight on your website many times before they decide to commit to you. Most of us have experienced remarketing in our browsing and it can be a useful tool for HE institutions to leverage. How often have you been browsing online for a certain book, pair of jeans or a t-shirt? You take a good look… But don’t buy. Now, does it ever feel like that item follows you around the internet everywhere you go? Use Google Display Network, advertise on Facebook, and you have the two components you need for a potent remarketing campaign that’s virtually guaranteed to reach your prospective students. Many businesses have the luxury of being able to offer leads special discounts or offers to incentivize them to convert. While HE institutions may not be able to offer discount tuition that does not mean that they can’t incentivize prospective students with free goodies. Focus on incentives that will address issues or concerns that they may have about your institution or build value in your institution. As stated previously, committing four years of your life to an undergraduate degree course is a huge investment on the user’s part and not one that we can expect them to make lightly. As such, you likely don’t expect the majority of users to convert on your landing page. They will likely have questions, concerns, and queries. Your ability to answer them by linking to other resources on your homepage might help you tip the balance in your favor. 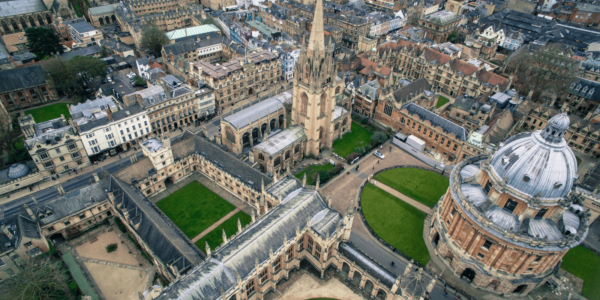 A blog that showcases the stories of successful alumni, a downloadable course prospectus, or a list article of awesome activities for undergraduates on campus can all be invaluable in driving conversion rates. When linking to these on your homepage be sure to think about the wording of your calls to action. Approach them from the user’s point of view and try to pre-empt any questions, concerns or reservations that they may have, before positioning your content as the solution. This ensures that they spend more time in your digital presence. And the more time they spend with you, the more likely they are to consider you a viable prospect. So, let’s look at a practical example of everything we’ve learned about PPC and how it influences homepage or landing page construction to attract new students. Let’s take Arizona State University as an example. Straight away we can see from the SERP that PPC revenue has gone in all the right places. If we type an intent-rich search term into Google like “Spanish degree online”, Arizona State University’s page ranks higher than other institutions’. As soon as we alight on the Spanish learning page, we’re presented with a page that is easy on the eye and not as information dense as we might expect… But that’s a good thing. We have the option to explore the course in detail by clicking on the prominent link, but the page doesn’t bog us down with a wealth of information about the course itself. It knows why we’re here. It knows we want it to qualify itself as the best choice for us. Thus, as we scroll down, one of the first things we see is a testament to the institutions accreditations and how widely respected it is. Then we are treated to a handy breakdown of reasons why we should choose Arizona State University. It’s everything from the above paragraph about incentives in action! The page knows it has a responsibility to capitalize on the interest that the PPC has created. We may not make our decision to study here based on our one encounter with this page, but it does a great job of understanding our intent, uses the right intent-rich keywords and does a great job of making sure that we come back and explore further. How can we use this to construct an ad? We can cherry-pick elements of this landing page to construct an ad that will be of interest to the specific kinds of prospective students we’re trying to target. We’re using the right specific keywords already. We’ll certainly want to incorporate some branding and we’ll likely want to use some of the qualifiers mentioned on the landing page to earn the user’s trust. We can give the students just enough to get them to want to learn more and click on our ad and through to our landing page. 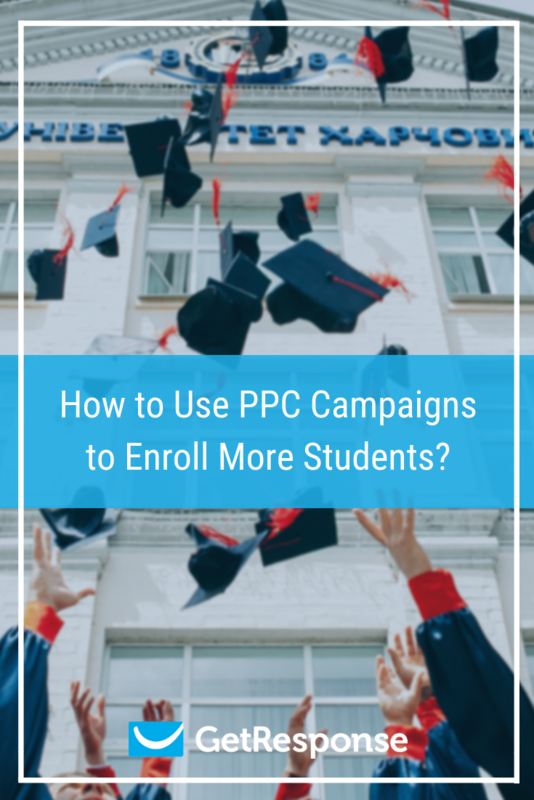 When you can conquer the competition and boost your chances of conversion without throwing away costly clicks on low-value prospects, you stand an excellent chance of cracking the tough nut of Higher Education PPC. Author: Paul Granger is a content writer at Website Promoter, a site that helps small businesses and website owners with advice on how to grow their reach online using SEO and Pay Per Click. Download this guide and get practical tools and tips for more effective international student recruitment.